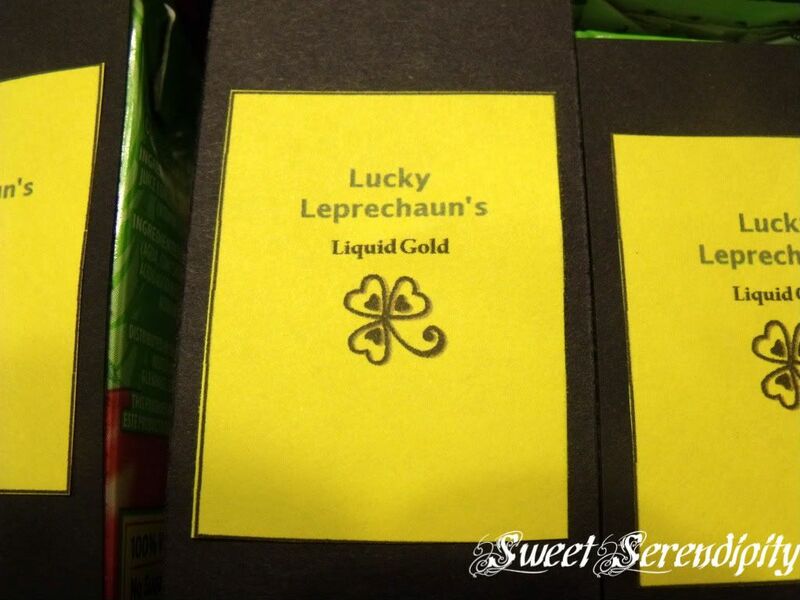 Serendipity from Jewels : Liquid Gold or is it? Liquid Gold or is it? I made the labels for these drink boxes(juicy juice apple) using power point on my computer. Printing them off on yellow paper, cutting them out, and using doublesided tape adhering them to black cardstock I had already cut to the exact size of the juice boxes. I attached them to the boxes by using more double sided tape. Wow! I just looked down your blog posts and you have done so many cute things for St. Patty's Day. Terrific! Fun with Books: Have You Filled a Bucket Today? What the Leprechaun's are going to leave?